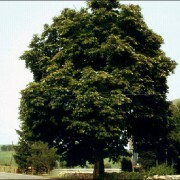 The famous conker tree. 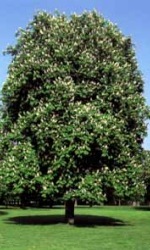 Large majestic tree with spectacular leaves and flowers. 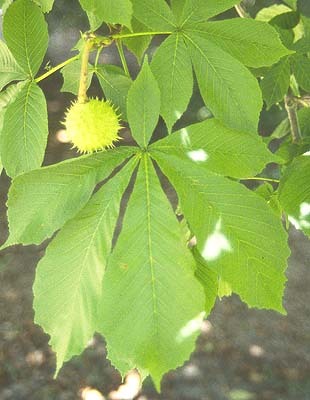 Aesculus Hippocastanum (Horse Chestnut)– The famous conker tree. 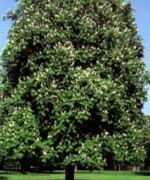 This large and majestic tree has a distinctive leaf shape and candles of white flowers which lead to the renowned conker. 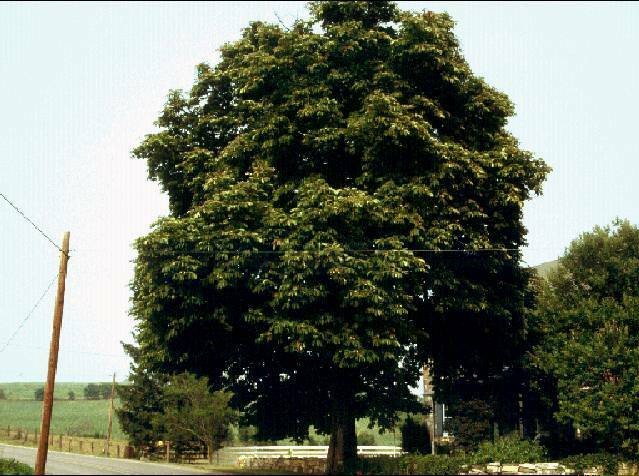 A tall, fast growing, dome shaped tree which can grow up to 35 meters. 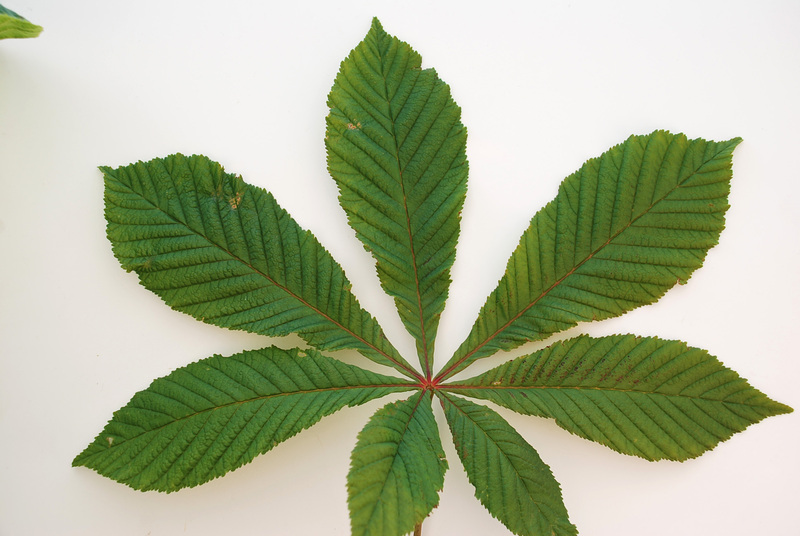 Its height and abundant foliage makes the horse chestnut one of the best trees for creating shade. 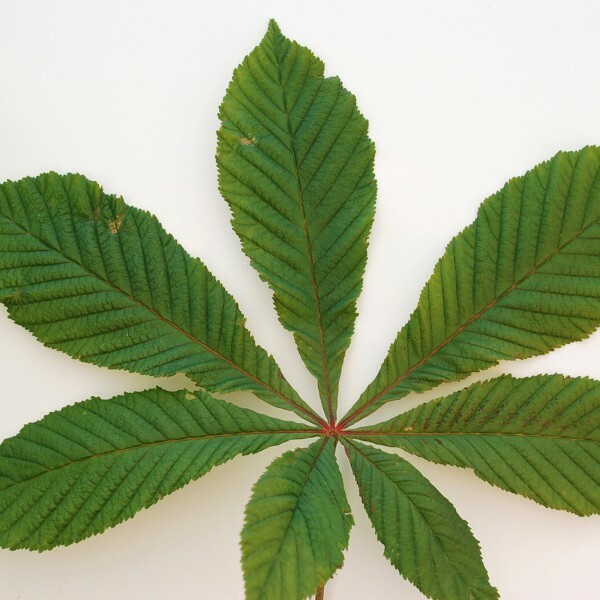 However, it is not recommended to plant this tree within a 30meter radius of a solid structure as the roots can cause costly damage to buildings and pathways. 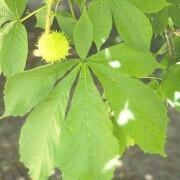 Fruit: Spiky, green and global which split to reveal shiny brown seeds (conkers). Timber: A common street and parkland street but the timber can also be used for joinery, cabinet work, turnery ect. Soil Types/Habitat: Grows best in full sun in roomy, moist but well drained soil. Dislikes dry soil. 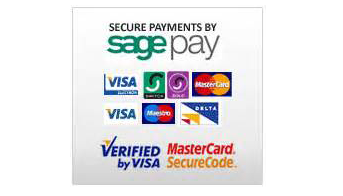 Suits wide expanses of grass or parklands.